It's no secret I love flamingos. I was nicknamed 'Flamingo' in college as a joke (due to my height) and it stuck. Fast-forward five years and some of my friends still call me that! 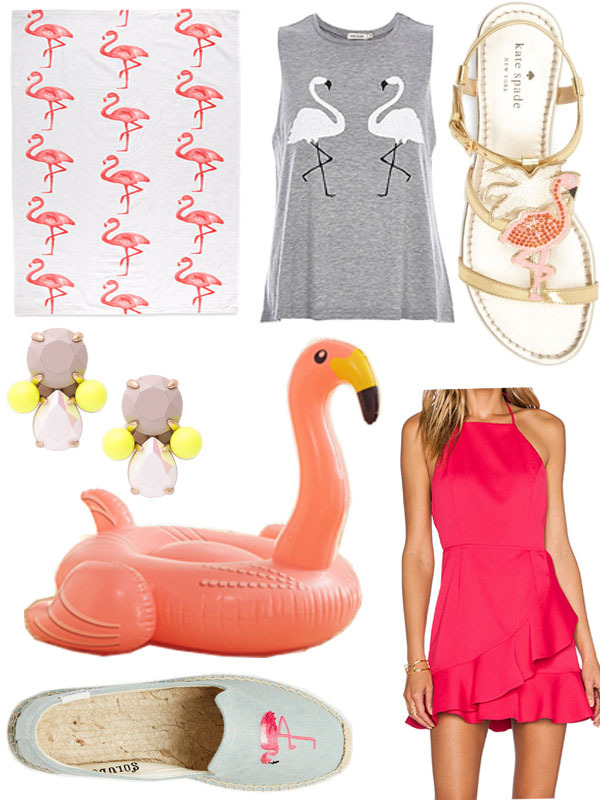 So needless to say, I am thrilled that there is a huge insurgence of flamingos in this summer's fashions. I just need to be careful not to buy everything I see because they're everywhere! Above are some of my favorites flamingo finds, both in the literal and figurative sense.